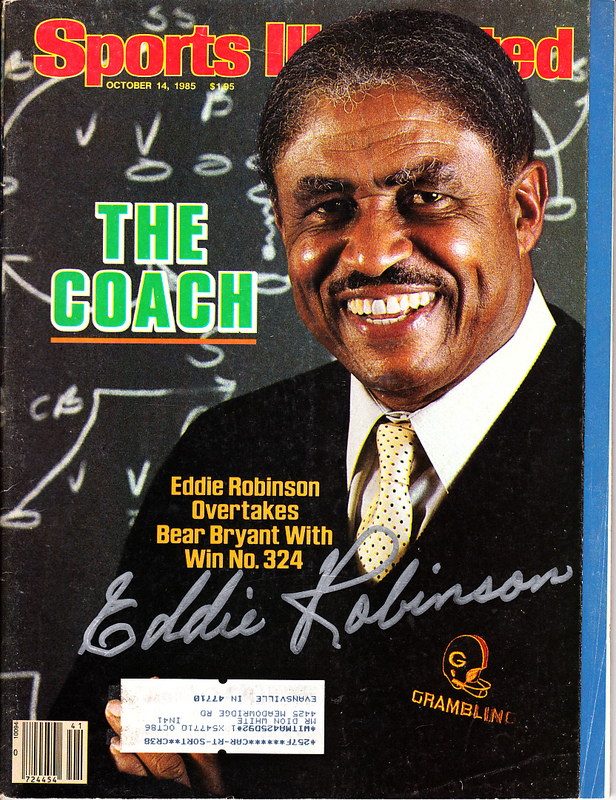 Complete 1985 Sports Illustrated autographed beautifully in thick silver paint by the late, legendary Grambling State football coach Eddie Robinson, who was being honored for breaking Bear Bryant's record for most career wins. Has small tape repair at top of spine and minor to moderate wear. 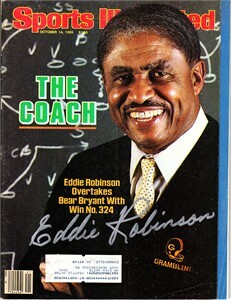 Obtained in person at the Grambling team hotel in Dallas many years ago. With certificate of authenticity from AutographsForSale.com. ONLY ONE AVAILABLE FOR SALE.